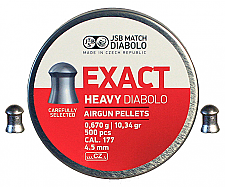 Surprisingly good, from a company that generally makes just OK airgun products. Lube them with Whiscombe Honey (Google it) and they are MAGIC in a 15-20 FPE PCP airgun. I shoot these out of my Marauder at 18 FPE, and a shot sideways through the torso of a big squirrel barely slows them down. One time, I shot a big gray squirrel in from the front in the shoulder. I went through the shoulder bone, all through the guts, out the belly, into the hind leg, through the quadricep muscle, broke the knee, and stopped just behind there, in the leg. Much as I want my Marauder to like some exotic JSB or H&N, it prefers the humble CPH's. Advantages: Hard alloy, they don't deform easily. They penetrate like nothing else in their weight class. 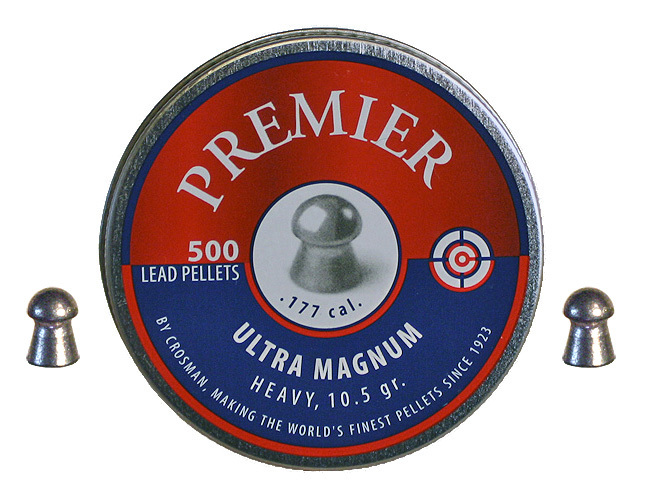 Uniformity is good, and they often outshoot more expensive pellets in higher-powered air rifles. Disadvantages: Must be lubed for above 700 fps, or else they'll lead the bore, since they're alloyed with antimony.